Smartphones have largely replaced cameras for the casual and amature photographers - rather I would say these have added the number the photographers to a great number when compared to the period when we did not have camera phones. But now we are moving forward leaps and bounds. Just today I saw a video shared on Facebook and the idea was simply amazing. 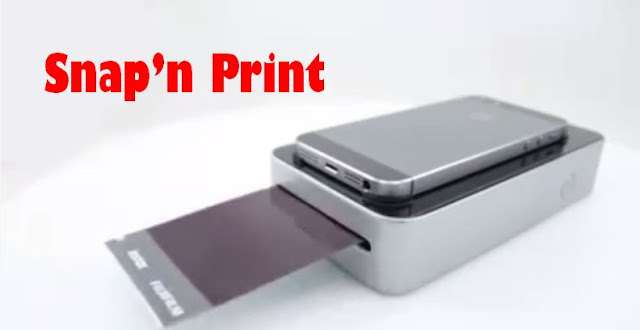 Once marketed, I believe this will bring a new revolution in taking photos from smartphones and taking out an instant print out and send it across to friends and families back home when travelling or even sharing the moment with friends instantly.